If you're struggling to pay your monthly mortgage payment and you're worried about losing your home to foreclosure, there is hope: You can request a mortgage write-down from your lender. In a write-down, your lender agrees to reduce the amount of money you owe on your mortgage loan. By reducing your principal balance, the lender also shrinks your monthly mortgage payment, something that might keep you from defaulting on your loan. A mortgage lender might be willing to reduce the principal of your loan for one reason: Taking back a home through the foreclosure process and then selling it again is far from an easy task. RealtyTrac in 2012 reported that it took banks an average of 348 days to foreclose on U.S. homes and 175 days after that to sell them. 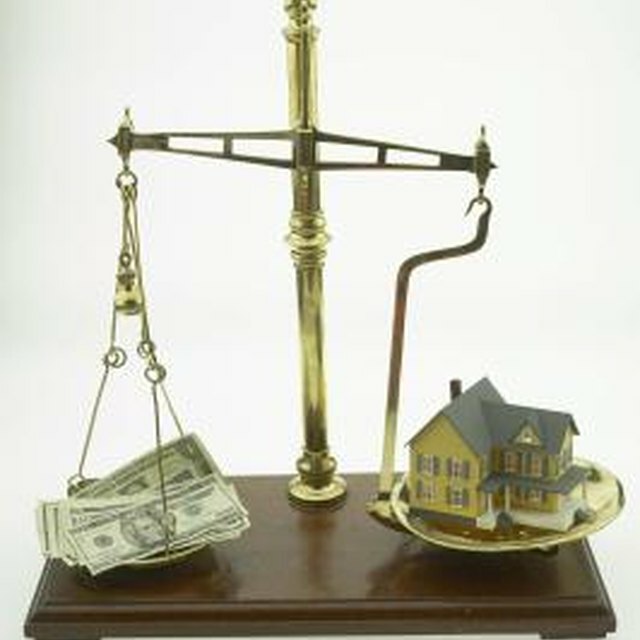 Mortgage News Daily reported in 2008 that it cost lenders an average of $50,000 to foreclosure on a home. Your lender might -- but might not -- prefer to work with you to keep you in your home as an alternative to tackling a time-consuming and expensive foreclosure. To convince your lender to reduce your principal balance, you'll first have to prove that you're suffering through a financial hardship that prevents you from affording your current mortgage payments. The first step is to write a hardship letter that spells out the reasons for your financial difficulty. Maybe your spouse lost his job, cutting your household income. Maybe your salary was reduced as your employer struggles through tough economic times. Maybe you suffered a serious injury or illness and were unable to work. Whatever the reason, include it in your hardship letter. You'll have to back up your hardship letter with documents that your lender can use to verify the source of your financial problems. If your employer has slashed your pay, make copies of your last two paycheck stubs showing this reduction. If your spouse has lost a job, provide copies of the termination letter. If an injury has kept you from work, make copies of your hospital and doctor bills. You might also want to make copies of your most recent bank account statements and credit-card bills, all papers that you can use to prove to your lender that you're struggling financially. Your lender might decide to reduce your principal balance on its own. Or it might decide to work through one of two government programs. The first of these is the federal government's Home Affordable Modification Program. This program provides financial incentives to lenders who agree to modify the home loans of struggling owners as a way to reduce their monthly payments. Lenders participating in the program can provide this relief in several ways: They can reduce the interest rates of struggling homeowners, rework the terms of their loans or reduce the principal balance of their loans. To participate in this program, call your lender and ask for a mortgage write-down or principal reduction. Your lender will tell you if it is participating in the Home Affordable Modification Program. Your lender might also reduce your principal balance through the federal government's Principal Reduction Alternative. This program, which also provides financial benefits to lenders, is designed to encourage mortgage companies to reduce the principal balances for homeowners whose homes are worth less than what they owe on it. Again, you can participate in this program by calling your mortgage lender and asking about it. You can't participate, though, if your mortgage loan is owned or guaranteed by Fannie Mae or Freddie Mac.